This course provides the ROAD TEST waiver! Basic RiderCourse class schedule at Heckscher State Park in Great River. This course is designed for new and beginning riders! 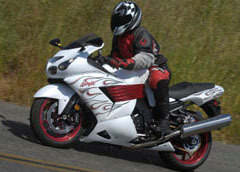 A small, training motorcycle is provided for the use of all riders. Helmets and gloves will be provided if needed. 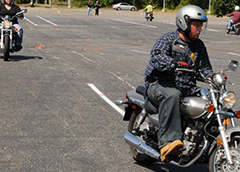 The Motorcycle Safety Foundation (MSF) Basic RiderCourse (BRC) is a nationally recognized rider training program. This extensive course is held over a three-day period and includes 5-hours of classroom instruction, an approximately 3-hour online learning component (eCourse) and 10-hours of on-motorcycle training. The BRC is a group class with up to 12 students and 2 instructors. 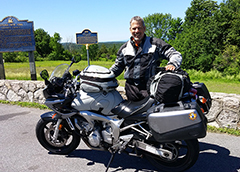 Successful completion of the course results in a New York State road test waiver that combined with a NY State Motorcycle Learner’s permit will yield your motorcycle license endorsement. In order to register for classes with Big Apple Motorcycle School you must have a valid NY State Driver’s License prior to the start of class. Please see our Ride Prerequisites and by registering, you agree to be bound by the terms and conditions of our Refund Policy. Weekend format – Friday evening classroom from 5 PM to 10 PM, on-motorycle training Saturday and Sunday. Other formats – See the Class Schedule for details. 5-hours of classroom concludes with knowledge test. 10-hours of riding concludes with a skills test. Possess a valid New York State Driver License. You do NOT need a NY motorcycle permit for the class. Pass a BRC Course Knowledge Test (done in classroom). Pass a BRC Skill Evaluation, after BRC riding range exercises. Helpful instructions to register: You will be taken to the MSF RiderCourse Enrollment System. Choose a class with an open seat (you may have to scroll forward a page or two), fill out the student information on the on-line registration form and click the “enroll student” button on the bottom of the page. You may then enroll another student or simply click the “complete registration” button to continue. You should read and agree to the terms and conditions and then put in your confirmation email address and click “complete registration”. A “Reservation Complete” page will be displayed, however, you must scroll down to “Training Provider Links” and then click “Click to complete registration and payment process”. A Big Apple Motorcycle School page will be displayed with “Complete the Registration Process and Pay for your selected class” and then you should click “Complete and Pay Now”. Use our secure, payment gateway to pay for the course with your credit or debit card. You must pay for your course within 2 business days of registration or your registration may be cancelled! You can also use the Payment Link on any page to pay!